Rendezvous delivers an effortless way to make and manage appointments for businesses that serve many clients a day. 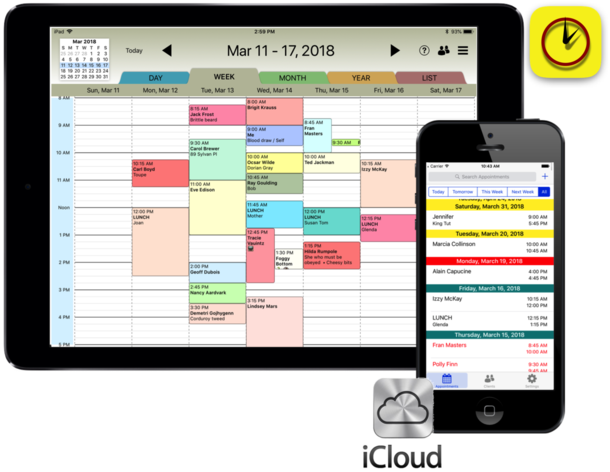 Rendezvous mimics how appointments are typically scheduled using a traditional week or day planner. It replaces the paper appointment book for specific appointment-driven business segments, from hairstylists, manicurists, fitness and physical trainers, to dance instruction, tutors and music teachers virtually anyone who provides services by appointment to many daily.